LUX: Your works create something from nothing. Is it a kind of anti-matter that you are creating? Rachel Whiteread: That’s exactly right. I’ve always tried to make something out of nothing. Something I used to do at college a lot was just stare at a white wall or a floor and visualise what I’d want to make from that space. I’d see what it was, so it was still something but it was out of nothing. It’s still a practice that I do, I suppose like a meditation, but I didn’t ever call it that. It was just, you know, staring at the wall. There’s probably not enough staring into space done now. Everything’s always about looking at images, like on Instagram. Everything is just so full up that what I try and do is empty out. You wouldn’t think it from the chaos of my studio, though. LUX: Is there just too much social media around now? Rachel Whiteread: Yes, I think so. People don’t know how to be bored anymore – I must have been saying this for years. Being bored is one of the most essential things of life, because what you do is you then work out how to not be bored, and by doing that, you open up a creativity in your mind. Even if it’s just deciding that you’re going to cook something or you’re going to read –whatever your creative outlet is – people just don’t do this anymore. They’ll scroll through Instagram instead and look at thousands of everyone else’s borrowed images. I think there’s something to be said about really slowing down the brain; it can be a very useful thing to do. LUX: Will distraction of this kind affect future artists? Rachel Whiteread: I suspect it will, but I also think that there’s going to be a backlash to all this and that people will just start to shut down a bit and try to be quieter about what they do, because you can’t just scream and shout about it. It’s hard for young artists. I’ve got two sons, they’re 13 and 17, and it’s difficult for them to be young anymore, to be able to play and enjoy life in a certain way, because you can just turn on the computer and you’re immediately entertained and distracted. ‘Shack I’ (2014), one of two concrete casts of cabins in the Joshua Tree National Park in California. LUX: How do you decide what to create next? Rachel Whiteread: Normally one thing leads to another, to be honest. I have had an exceptionally busy year de-installing and installing at the Tate, in Vienna and Washington. 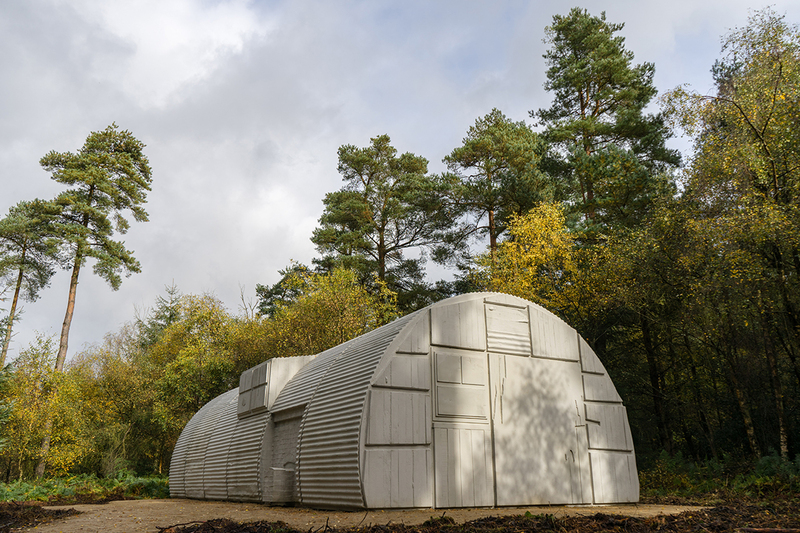 I have just come back from Washington where the exhibition has just opened, and also cast a very large piece, another one of my ‘shy’ sculptures, that’s in the Dalby Forest in Yorkshire – it’s a cast of a Nissen hut that’s been made as part of the First World War centenary. I have had a busy time doing all of that, and I am now having a breather before I get going again. I am at the pre-production phase of a new body of work. LUX: Do you ever consider the reaction to your work while you are planning it? Rachel Whiteread: I am very fortunate to be in a position to be able to do what I like. There has been a lot of controversy over various works I have made, but this is not something I court, it is simply in the nature of the objects. LUX: What gives you the most satisfaction? Rachel Whiteread: Luckily for me, the show at the Tate gave me an enormous amount of satisfaction. It was five years in the planning and has travelled very successfully to Europe and America including the National Gallery of Art in Washington. I have very much enjoyed doing the retrospective, looking back at thirty years of work – it has been really helpful. LUX: What are your frustrations in making your art? Rachel Whiteread: It is becoming harder and harder to find large studio spaces. Gone are the days when artists could colonise derelict areas in London. Consequently there is a lack of places for young artists to work. Luckily for me I am able to stay in London and carry out some of the more ambitious things, but it is very expensive. But what are the annoyances? That the day isn’t long enough, that I’m getting older and don’t have quite as much energy – I’ve got a bad back [laughs]. 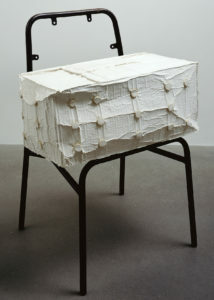 Rachel Whiteread: That’s down to years of not looking after my back properly; it catches up with you. You think you’re forever young, especially when people were constantly calling you the YBAs [Young British Artists]. LUX: London – is it an integral part of who you are? 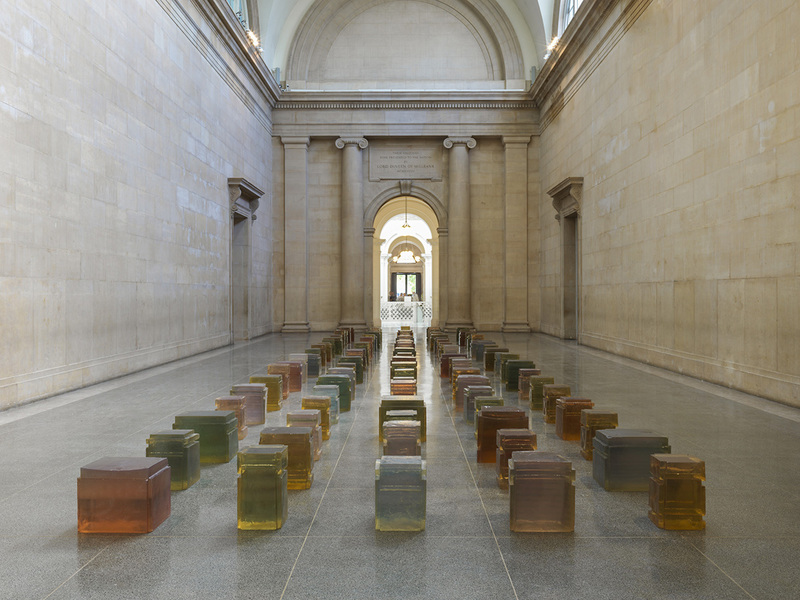 Rachel Whiteread: It’s totally integral to who I am. At one point we looked into moving out to Norfolk or Essex. To get a place with land where I could build a big studio, but I thought, actually I can’t. I need the frisson and busyness of London. LUX: What do you love about London? 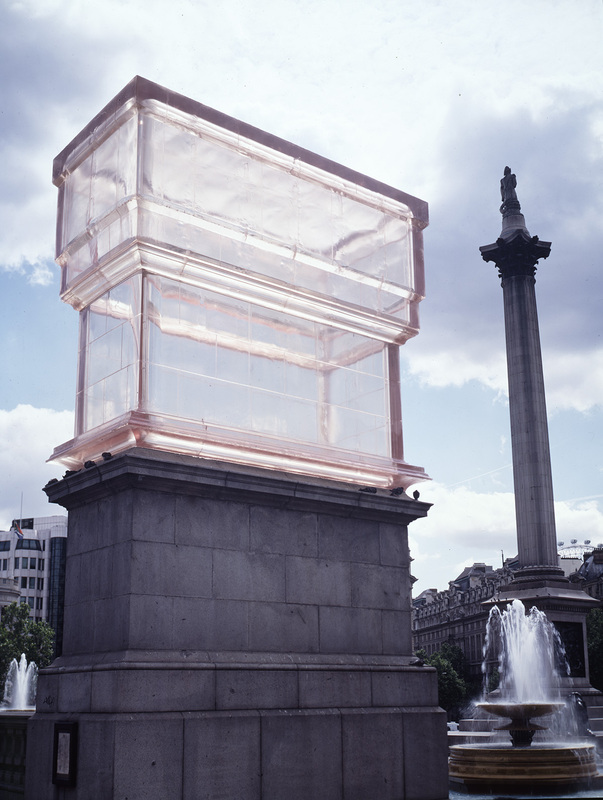 Rachel Whiteread: I love the multicultural world, the soupiness of London. It’s the one of the best cities of the world. I love the way the people are mostly extremely tolerant of each other. I love the way it’s an enthusiastic city and it has so much to offer culturally – even if you don’t go to that much you still feel it around you – it’s a bit like osmosis, it touches you somehow. I love the green spaces, I love the built-up spaces, I love the Thames, I love the canals, I love the way in which London can have these complex urban spaces and then these very beautiful but still very urban spaces. And so much has been done with trying to get wildlife going. It’s just a great community – a load of really good, interesting villages all stuck together – that’s sort of what London is, isn’t it? LUX: After so much progress in tolerance over the past few years, are things now going the other way? Rachel Whiteread: Completely, yes. Terrifying. I hate to think what we’re going to be leaving our children and grandchildren. There’s a sour feeling in the world at the moment and it’s not pretty. LUX: It’s inexplicable, isn’t it? There are a people with a lot of money feeling angry. in. It’s an appalling waste of money, time and energy – and for what, in the end? In the UK in particular there are a lot of people who are angry in London, and outside London, too, and quite rightly so for being neglected and ignored. Money is not coming in to pay for things that are needed, resources are at an all-time low, and there’s not enough housing. So for all of those things it’s a really complex city to live in, but when things work, they work brilliantly and people cross-culturally can really rub shoulders together and get a lot out of each other and that’s a great thing. LUX: Your art has a blend of seriousness and wit – would you agree that this also describes yourself as a person? Rachel Whiteread: My work is me, I couldn’t make anything else. It is totally me, it’s how I think, how I exist in the world. LUX: Is there a responsibility with your influence? Are you tempted to use it? Rachel Whiteread: I’ve got two children and a job, and I don’t have the energy for it. Maybe later on. My parents were both very political and it’s certainly in my DNA. The ways I can influence people are by giving lectures, by sharing my work. LUX: How does it feel to be the Whitechapel Gallery’s Art Icon for 2019? Rachel Whiteread: It’s nice to be recognised for the many decades of hard work, and everyone likes to be recognised. It is a great honour. The Whitechapel is a fantastic institution doing fantastic things and has such a great and rich history. LUX: Do you believe that gallery funding should come from the state? Rachel Whiteread: When they’re very much community-led galleries, which places like the Whitechapel are, then I would say yes. They’re for a community as they’ve always been. It’s just extremely hard raising money for galleries, and now there are a lot more than there used to be, they all need funding and they all have to find ways of making money. It’s complicated. But they are therefor the public and therefore the government should fund them. LUX: Does the amount of money being spent in the art market seem strange? Rachel Whiteread: The whole economics of the art market doesn’t sit comfortably with me. A lot of artists are generally left-ish, and a lot of them find that dichotomy difficult, because it’s a tough thing to think about. LUX: Is it true that the punk movement influenced your generation in the art world? Rachel Whiteread: Absolutely. I grew up in the seventies in London, I went to a few punk gigs. They were a bit rough for me to be honest [laughs]. But I was quite young at the time, so I’d go to the Marquee in Wardour Street [in Soho]. The gigs were pretty scary but they had an enormous influence upon me. LUX: Did you have any idea at art school what kind of art you would go on to produce? Rachel Whiteread: No, the whole development of making my art was a gradual process, but certainly the seeds were sown at Brighton [Polytechnic] and the Slade [UCL London]. LUX: Did you always plan to be an artist? Rachel Whiteread: Not initially, though my mother was an artist and there was always a strong familial influence. However, I always imagined that I would have to teach in order to sustain my practice as an artist. I have been very fortunate though, and my art has supported me. LUX: Was it serendipity that you and the other Young British Artists, such as Tracey Emin and Damien Hirst, were contemporaries? Rachel Whiteread: It was total serendipity. People say it was a movement, but it just happened to be a certain moment in time where this political and creative energy came out. One of the artists I relate to most is Sarah Lucas. She grew up just down the road from me and I didn’t know her when we were children – we came from very different backgrounds. I was from a middle-class home and she was from a working-class family, but there was definitely the London energy in the work we both made. The YBAs were simply how the stars were aligned and we were fortunate to be doing our work together at the same time. 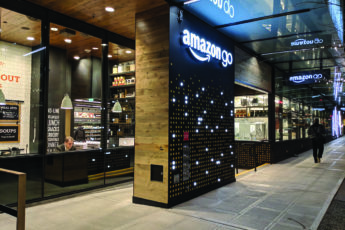 This article was first published in the Winter 19 Issue.